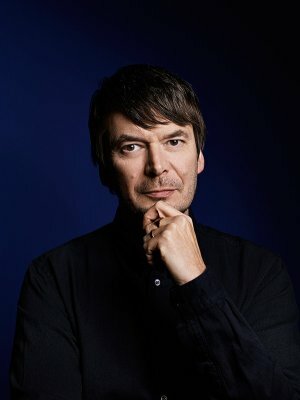 Scottish crime writer Ian Rankin has been writing stories about the maverick detective, John Rebus, for more than 20 years. For our Christmas/January read we decided to tackle Ian Rankin – that prolific Scottish writer. The library had been given a large stack of his books, so we all chose one or two of those to be getting on with. This proved an interesting exercise. As we’d all read the same author, we decided at our meeting to try a bit of a critique of Ian Rankin, his writing style, characters and settings, as well as talking – briefly – about the individual books we’d read. As usual, we also discussed other books we’d read over the Christmas period… see Part 2 for a write-up of these. Our feelings about Ian Rankin and his writing were about as varied as there were book club members present. Clover generally enjoys Rankin’s books, once she’s got into them. She finds that often, after a difficult or even slow start, the stories grow on her. She also enjoys the fact that there’s usually a twist at the end which, time after time, surprises her. She’d rank him 4-Stars out of 5. Clover had read Even Dogs in the Wild which was published in 2015. Fantastic Fiction has this to say (slightly paraphrased): “Siobhan Clarke is feeling the heat, Malcolm Fox is feeling useless, Rebus is feeling restless”. In this book a newly retired Rebus joins forces with Malcolm Fox (previously of the Complaints Department), his ex-sidekick Siobhan Clarke, and his old nemesis, the gangster Cafferty, to investigate dark deeds and goings-on in high places. She gave it 4+ Stars. Our new book group member, Opal, has a similar opinion of Ian Rankin. She finds that it takes a little time and effort to get into a book, but once she’s there it’s worth the effort, although she finds that the books are often quite dark. She rates him 4-Stars as an author. Bunny, on the other hand, is basically not wild about Ian Rankin. She has read very few of his books and finds him hard work so would only rate him as a writer as 2.5 or 3-Stars. For our meeting she’d read The Complaints, which was published in 2009. It was the first in a new series about the Complaints and Conducts departments, and features a new character, Malcolm Fox. That old reliable standby Fantastic Fiction says this (again slightly paraphrased): “'Mustn't complain' - but people always do... Nobody likes The Complaints - they're the cops who investigate other cops. There's a cop called Jamie Breck, and he's dirty. The problem is, no one can prove it.” Bunny found this story of a dirty (and dangerous) cop hard work. She would give it a scrimped 3-Stars out of 5. Calendar Girl is an Ian Rankin novice, having never read any of his books before. She rated him high enough to announce that she might try some more, although there are other authors which she thinks she’ll try before she goes back to him. As an author, Calendar Girl gave him an “almost 4-Stars”. Like Clover she’d read Even Dogs in the Wild, had found she’d got into it quite quickly and enjoyed it. Rated it 4+Stars. Cornish Eskimo wasn’t at our meeting but had sent a report. The Eskimo rates Ian Rankin highly and enjoys the Rebus books for lots of reasons, but particularly Rebus’s sly humour and the relationship with DS Clarke. Exit Music is written in an almost-real timeframe with plot links and references to real life events which anchor it to reality. It earned 5-Stars and you can read a full review here. In spite of a lifetime of reading crime and thrillers, Freyja is also an Ian Rankin novice but did not like him much. She’d read three of his books for the meeting and found them rather tedious and pedestrian. But then she fully admits she does not much like crime books about slightly maverick detectives, the underbelly of big cities, gangsters, protection rackets and that sort of thing. In her view, for a book along those lines to be gripping, it needs to be considerably better written than Ian Rankin manages. So, she came in at the bottom with only 2 to-3-Stars for him as a writer. Her first book for this meeting was the 1993 The Black Book. The Fantastic Fiction website has this to say about it: “It all happened because John Rebus was in his favourite Edinburgh massage parlour reading the Bible... So opens the latest Rebus mystery and within a few pages the hapless Rebus has lost a lover, found an unwanted brother, been reacquainted with a dangerous ghost from the past, and witnessed the black comedy of life in a blood soaked Edinburgh butcher's shop. Or as Rebus puts it, 'just one of those weeks’”. In Freyja’s opinion this write-up is somewhat generous. She found the whole criminal scene tedious and pedestrian and was almost two-thirds of the way though before she started to find it even slightly interesting. Rated only 1-Star. The second book she’d read was the second Malcolm Fox book The Impossible Dead from 2011. In this the Complaints has to look into whether a whole station house has become ‘dirty’. The investigation leads back into a past of activism, terrorism, fear and paranoia. Again, slow to get going but not too bad at the end. She gave it 3-Stars. And then she read an unspeakably horrible (in every way) novella/ short story called The Travelling Companion. Part of a series of short stories by eminent crime-writers called Death Sentences (or 'bibliomysteries') this is a reimagining of Dr Jekyll and Mr Hyde. If it was possible, Freyja would give this a minus 5, and the opinion of the group as a whole was: 'Why bother to rewrite something which has already been well written by a classical author?'. The other books we enjoyed reading over the Christmas period will be covered in Part 2 of this report... so watch this space. For our next meeting we did a ‘Pin the tail on the donkey’ meaning we stuck a pin in the alphabet and came up with the letter ‘L’. We shall therefore all endeavour to read a book by an author whose last (or first) name begins with the letter L, or a book with the title starting with ‘L’, or similar! Why not join us at Oundle Library on Friday, 15 February at 2.30pm? Everyone welcome.